I'm delighted to welcome Ian Irvine to DC Green Yarns, as part of his whirlwind blog tour. 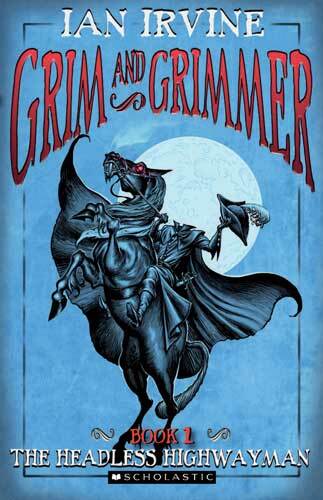 There is a great interview below with Ian, details of the rest of his tour, a bio and the covers of his wonderful 'Grim and Grimmer' series. Enjoy! 1) What was the spark - the original story idea - for Grim and Grimmer? I’d never written humorous stories before. I thought, if I try this and it goes disastrously wrong, at least it’ll give my enemies a good laugh. 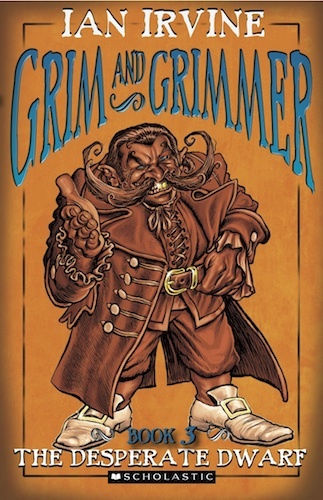 But seriously, I simply wanted to write humorous fantasy stories for younger readers, 9 or 10 and up. There are plenty of funny and clever books for this age group, and some of them are fantasy, but in most cases the humour is stronger than the plot. I wanted to write humorous stories that also had a strong and compelling plot, because that’s the kind of story I prefer to read. 2) How did you develop the original idea? 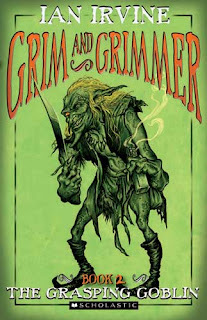 After about twenty-four hours of hard labour I came up with a great title, Grim and Grimmer, and every time I mentioned it, people smiled. See, you’re doing it now. So I sat down, invented the silliest and most extravagant characters I could think of, then sketched out a fiendishly complicated plot where they only got out of one desperate trouble to plunge immediately into a worse one. And every time I thought, no one should ever suffer like this, I went har, har, yes they should, and thought of a hundred and three more ways to torment them, working on the principle that if the characters are having a good time, my readers aren’t. Then I thought, this plot is exactly like all the other books I’ve ever written. So I took the plot apart, changed every scene to its opposite, then sat down to write it without further ado. 3) What does a great main character need? A pie in the face to bring him or her down to our level. And then, massive internal conflicts. For instance, Ike has three conflicting objectives: to get back the Book of Grimmery, without which Grimmery will be overthrown; to clear his parents’ names, because they’re accused of betraying their country; and to help the boy, Pook, rescue the children that Emajicka has stolen for her Collection. In the middle of The Desperate Dwarf, I force Ike into a situation where he sees how terribly the Collected children are suffering, yet can do nothing to help them. We really empathise with him then; we desperately want him to succeed. 4) What makes readers want to follow the adventures of Ike, Pook and Mellie? Ike begins as Useless Ike, a kid who can’t do anything right. He’s always going off half-cocked and making things worse, yet he’s also kind and well-meaning and never gives up, and readers long to see him do well. Mellie (the apprentice thief, Melliflua di Sorrowgrove) is constantly trying to impress her father, the thief-lord, Titanio by pulling off one reckless theft after another, but she sometimes overestimates her abilities and gets into dire trouble. However she’s clever and quick-thinking, and a great friend to Ike. Pook, a skinny waif, never stops boasting ,and tells the most outrageous lies to cover up the pain of his torment by the Fey Queen. Yet Pook is the bravest of them all. He has a burning need to save the Collected children, no matter the cost to himself, and even takes on a terrible night-gaunt in a doomed rescue attempt. 5) Tell us about the plans of the wicked Fey Queen, Emajicka. Humans tricked the Fey out of the beautiful land of Grimmery three hundred years ago, and the Fey Queen, Emajicka, wants it back – no, she needs it back to ensure the survival of her own realm, Feyrie. The beautiful, silver-skinned Emajicka is a troubled woman, and she’s stealing the children of Grimmery for her Collection. Emajicka bathes in their nightmares to relieve her own, because whenever she looks in the mirror that cannot lie (a lie in itself) all she sees is the ruin of her beloved Feyrie. And there is one nightmare she wants most of all – Ike’s – though no one can figure why she would want anything from the most useless kid in Grimmery. 6) What is the secret to writing exciting and dangerous villains that are also believable? Pure evil is boring. Great villains are human: they laugh, they weep, they love their children and help little old ladies across the street, and they care about good things just as much as the hero does. The best villains are conflicted, and sometimes they want the same thing as the hero does; they just want it in a different way. Or sometimes they’re just plain evil, like the demon Spleen, who specialises in psychological pain. She doesn’t just get inside Ike’s head, she actually puts her head inside his head via another of the planes, to identify his secret terrors and see how to best torment him. Though, come to think of it, even Spleen loves her little brother, the vile and vicious little guard-imp, Nuckl. Not as often as I’d like to, snort! To be honest, I was a bit worried about that kind of thing, being such a demure and retiring fellow that I blush at the sight of a well-turned ankle sock. But then I thought, if Andy Griffiths can write books like Bumageddon and Zombie Bums from Uranus, and even the sainted Tim Winton got away with The Bugalugs Bum Thief, how can I possibly offend anyone with my little tail, er, tale? The headless highwayman, Lord Monty, a very decent chap, is so sorely afflicted by the lack of a head that he has to talk through his bottom, but how could anyone take offence at that? I mean, he’s so hygienic that he cleans his bum teeth with a gigantic toothbrush. Moreover he’s so noble that we look the other way when he does it; we can’t bear to embarrass him. Yeah, right. Boy does malicious little Nuckl, whose main desire is to eat Ike’s liver, have fun with poor old Monty. And when the only way for Ike to rescue the pretty but obnoxious Princess Aurora is to squeeze her through that disgusting troll-bum door, do we take advantage? Do we snigger and take pleasure in their grotty, gruesome and grotesque misfortunes? You bet we do. It’s an ill wind, they say, and especially whistling through a troll bum door. Bums ahoy! Thanks, Ian! best of luck with the tour and book sales! 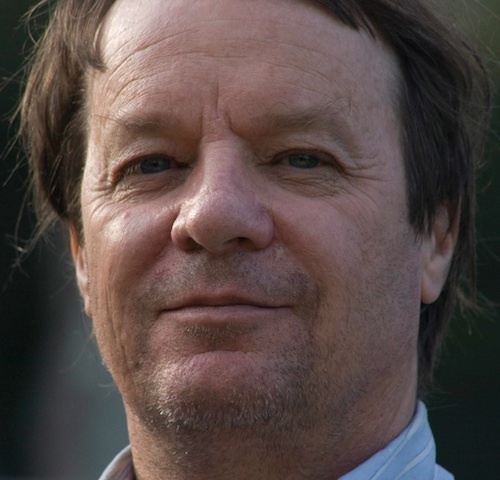 Ian Irvine, a marine scientist who has developed some of Australia's national guidelines for the protection of the oceanic environment, has written 27 novels. These include the internationally bestselling Three Worlds fantasy sequence (The View from the Mirror, The Well of Echoes and Song of the Tears), an eco-thriller trilogy and 12 books for children. 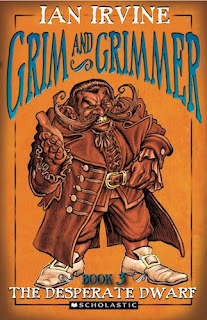 His latest book is Grim and Grimmer 3: The Desperate Dwarf. i love dc green's books and these books sound really cool too. please post more interviews and articles like this one. thanks! I adore these wonderful book. jogos de moto é a mais importante fonte de entretenimento para as crianças. trazemos todos os tipos de jogos de moto para você em bicicletajogos.com.